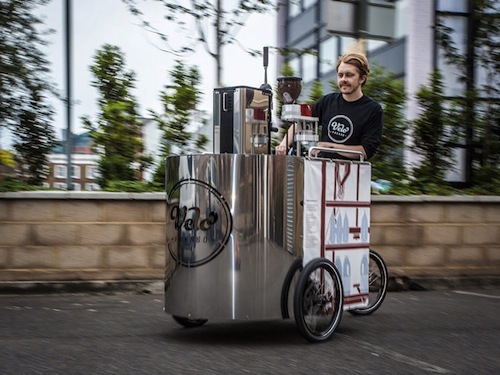 London-based Amos Field Reid and Lasse Oiva have developed a human-powered mobile coffee shop to sell coffee on the streets. 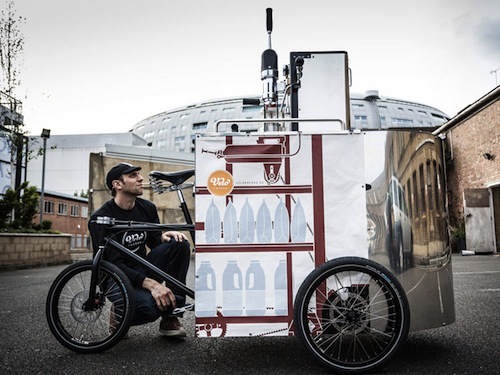 By combining old-tech with hi-tech, bicycles and coffee, their engineering and aesthetics, the duo created ‘Velopresso’—a vehicle that is pedal-powered, and uses human operation to create quality espresso and its derivatives. 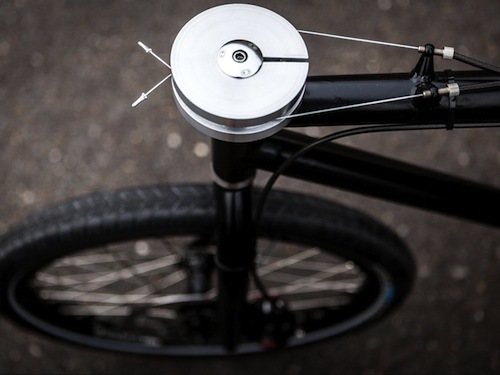 The rider can switch between gears from powering the bicycle, to driving the coffee grinder to grind coffee beans. 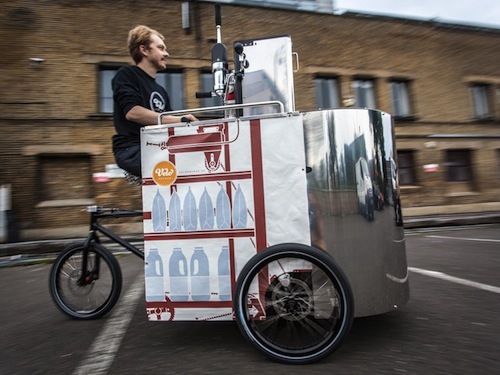 Currently, hot water is generated through a portable boiler powered by a small gas canister. 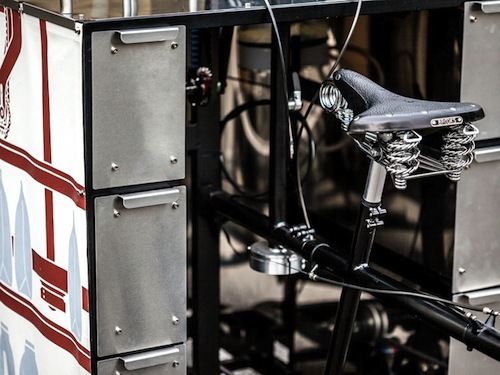 Velopresso creates fine coffee with ultra-low carbon emissions, as it doesn’t use motors or electricity. 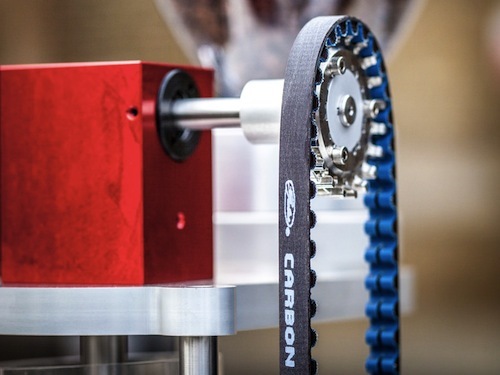 In hopes to further close the recycling loop, the pair is exploring ways to convert waste coffee grounds into something useful.